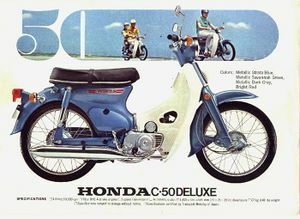 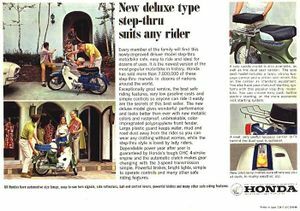 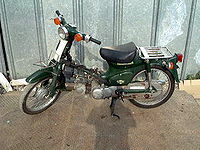 The Honda C50 is a 4-stroke 50cc OHC street motorcycle manufactured by Honda between late 1966 and present. 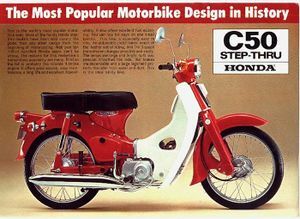 It was not sold in Canada or the US. 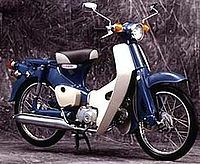 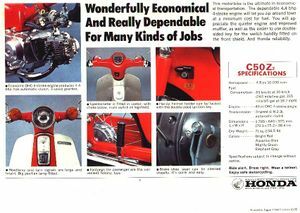 It replaced the OHV C100 model, and used a small-bore version of the C65 engine, and new styling with enclosed front forks.